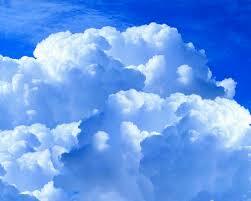 Clouds Research Papers look at the different types of clouds and how they are developed. Science research papers study the environment in which we live in. Paper Masters has many environmental science writers that can write research papers on clouds or any aspect of meteorology that a student may need. Further classification depends on height of the cloud base: Cirrus at high levels, alto at mid level, stratus at low level. Classified as cirrus, high based clouds occur at a minimum of 23,000 feet , although some would say a bit lower, 20,000. They are formed of ice crystals or frozen drops of water. They are thin and filament-like. They generally form in fair weather and head into the wind. Cirrostratus clouds cover the sky in diffused sheets. They permit sun or moonlight to shine through. Sometimes called an ice cloud, they are transparent and cover part or the entire sky. Cirrocumulus clouds, also an ice clouds, are patchy, composed of many different elements, or wavy forms, and have banded, linear structures . They can also look like ripples or fish scales and are regularly arranged. Middle based or alto clouds occur from 9800 to 23,000 feet. Others place the bases of mid-level clouds between 6,500 to 20,000 feet. Because of their lower altitudes, they are composed primarily of water droplets, however, they can also be composed of ice crystals when temperatures are cold enough. Altostratus clouds are more uniform or diffused with elements that are difficult to distinguish. They are gray or blue in color and are almost haze-like. Altocumulus clouds form in sheets or patches of sharply defined wavy parallel bands or rounded masses. Usually part of this cloud is shaded. They form in unstable air by convection usually when a cold front lifts the warm air in front of it. Low or stratus clouds occur from 0 to 9800 feet. Low clouds are of mainly made of water droplets since their bases generally lie below 6,500 feet These clouds may also contain ice particles and snow, when that elevation is cold enough. Ecology and Environment - Ecology, as a science, is fundamentally concerned with the interaction between living things and the environment. Acid Rain - Research papers on acid rain address a number of important environmental questions. Order a research paper on acid rain from Paper Masters. Air Pollution - According to science authors, an international environmental problem is one in which the ozone in the upper atmosphere results in a depletion of the ozone layer. Climate Change - At its most basic level, climate change refers to any change in weather patterns that has been recorded over an extended period of time. Hurricane Irene - Hurricane Irene developed into a category three storm as it crossed the Bahamas. Hurricane Katrina - The sixth most intense storm on record; Katrina remains one of the costliest destructive storms in U.S. history. Once by the Pacific Research - Papers explore this poem as a metaphor for life. Paper Masters writes custom research papers on Clouds and look at the different types of clouds and how they are developed.